The first Europeans settled in the area circa 1760. Previously the area was inhabited by the San or Bushmen. Various cultural artefacts of them still remain in the area. The town was founded in 1851. The town was named after the minister, reverend Fraser, and a certain church elder, Meyburg. The town was established on the farm Rietfontein. The original manor house of this farm is still in use. In those days, the only means of transportation and thus communication were horses and horse drawn carriages. Post was brought irregularly by stage coach from Beaufort West. Most farmers visited the town as few as four times a year and then only for the Nachtmaal (Communion). Distances were gauged by the distance a horse could ride in one hour (about 6 miles or 10 kilometres). Early in the twentieth century Fraserburg also got a telegraph connection. One can still see the remains of this line between Fraserburg and Carnarvon. A Post Office opened in 1858, the first postmaster being a certain Robert C Hemming. That led in an era of development in the town. A Magistrates Office opened in 1859 with Mr FE Balsotn the first magistrate – he stayed on for the next 20 years. In 1860 a Police Station opened with Francois Bourke as first Chief Constable. Dr C Edmonds became the first medical doctor in 1860. A prison opened in 1861 and closed down more than a century later in 1968. The first attorney was HWA Cooper who came here in 1870. He became the author of “Boerebrieven” in Afrikaans in the newspaper Het Volksblad. He wrote under the assumed name of Samuel Zwaartman. A public library started in 1866 in the “Peperbus”. The first bank that opened was a branch of Standard Bank in 1876. Volkskas opened only in 1956. Fraserburg was proclaimed as a municipality on June 6, 1862. The first electric power was supplied on September 16, 1958 and the town switched to ESCOM power in 1983. The legendary writer/poet A.G. Visser lived in the Fraserburg district. He was born in a tent under a pear tree, on the farm Zaaifontein. See A.G Visser. 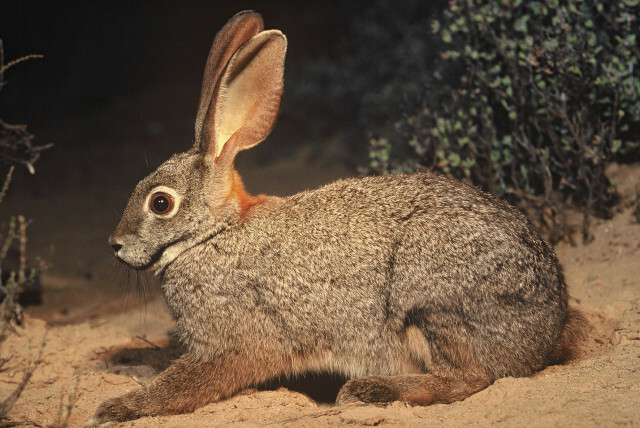 This region is also home to a very scarce and endangered animal, the Riverine Rabbit. Fraserburg is a comfortable 5 hour drive from Cape Town. It is one of the most authentic and well preserved Karoo towns left in South Africa. It is a quiet and peaceful place where one can truly get away from it all without compromising on comfort, style and fun. For the more adventurous there are numerous hiking trails which are quite breathtaking. There are also a number of 4×4 trails which do not disappoint. Besides the majestic scenery and self-catering accommodation, one will pass Corbel houses which are unique and are not found anywhere else in the southern hemisphere. Another aspect which makes the area such an attractive destination, are the perfectly clear night skies. For the amateur or more serious sky gazer, this is reputed to be one of the best areas for this fascinating pass time. For the hunter, there are a number of game farms which provide excellent and comfortable facilities only a short distance from the town. Game is predominantly Springbok, but Gemsbok, Eland and Wildebeest also abound. Our town and its surroundings are still unspoilt and are guaranteed to stay that way. We understand that a person who makes the journey is special, and should be treated as such. It is a place worth visiting and we are quite sure, once you have been you will return again and again. And you’ll always be welcome. We look forward to having you. Karoo Hoogland will be an economical growth node in the Northern Cape, earmarked by active community participation. Council must create an environment that will enhance economic development with specific focus on poverty alleviation and the creation of direct and indirect job opportunities. Residents will have direct access to basic minimum services and a culture of pay for services must be promoted. Special focus on the development of life skills, infrastructure and education will add to economical-growth. 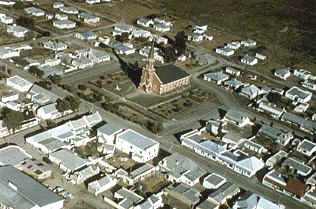 The Municipal Council of the Karoo Hoogland Municipality will strive to implement / establish a process to improve the quality of life of all its residents by maximum, utilization of resources and the continuous involvement of all community members by enhancing economic, social, health and environmental issues as well as effective service delivery. Copyright © 2015. Karoo Hoogland Municipality | Munisipaliteit. All Rights Reserved.